Almost every advertiser has launched web push notifications campaign to promote their business, but only few know the effect of using advanced features.Web push notifications have loads of advantages itself, but for experienced advertisers who know their public and clearly see the expected outcome in front of them there are some tricks, hidden from the eyes of the beginners. Let’s sum up advanced settings and best tips to run web push notifications campaign. You can set the frequency and local time capping as you wish, choosing the periods of users’ high activity, f.e. working hours when the user is online at his desktop or morning hours when people head to work and are all in their mobile phones. You know your product, you know your GEOS, you know your audience – so go ahead! Target on those who have subscribed to web push notifications just a few days ago and are on the very beginning of their user lifetime. Those users who have just subscribed to web push notifications are more likely to raise the average conversion rate. On the other hand, if you got you campaign tested and optimized you can save money by targeting on the “older” subscribers. Choose needed interval of user lifetime and compose your own unique group to target. Emojis add a personal element to the message and work perfectly for mobile campaigns. Plus it’s always captures the attention among other messages and add some humor or particular accent. Just don’t get too involved and don’t place too many: remember to keep the tone. Not every push message had it, but those with large banner show pretty impressive results. This eye-catching feature can boost CTR almost on 30% and lower CPM on 25%! Great effect on IT , mobile, utility offers. If you have doubt about where to get a creative, then just keep reading, we have a solution for you. Make a message more personal: words inside placeholders change automatically, depending on chosen factor, f.e geolocation. V. Add Call-To-Action buttonMotivate a user for action with one or even two CTA buttons and raise conversions. Make a CTA message short and easy to understand. If you place two CTA at one push message – plan where exactly each would lead the user to make a conversion. This feature works ideally for utilities, dating and e-commerce. 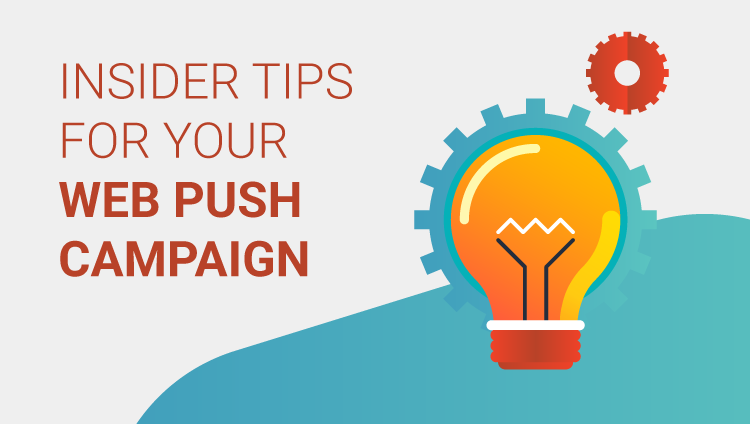 If you pay enough attention to this small tips and tricks, than be sure that performance of your web push campaign would get better! At any doubts whether to use it or not, how to set those features the best way to promote your offers – feel free to contact your personal manager and ask for advice!